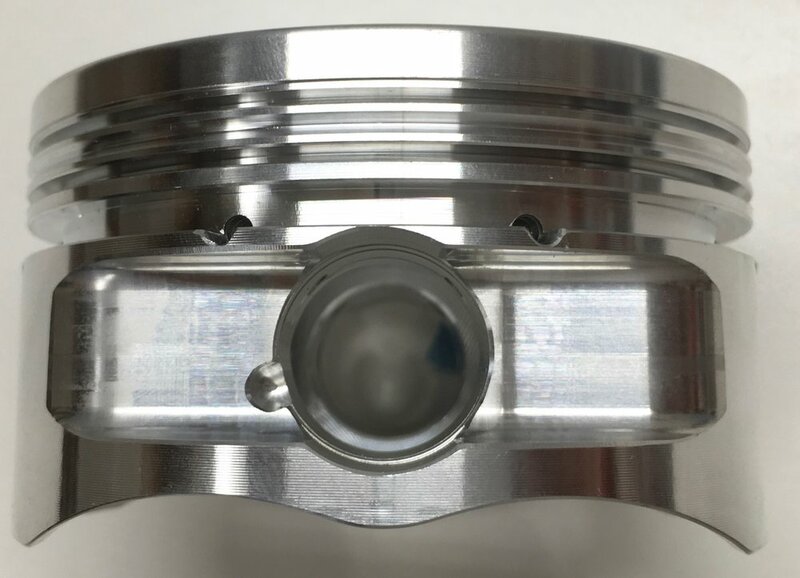 We have our forged pistons custom made for us by RaceTec here in California. Jim has designed pistons for everything from low-boost supercharged, turbocharged propane powered to 12:1 high compression normally aspirated engines. 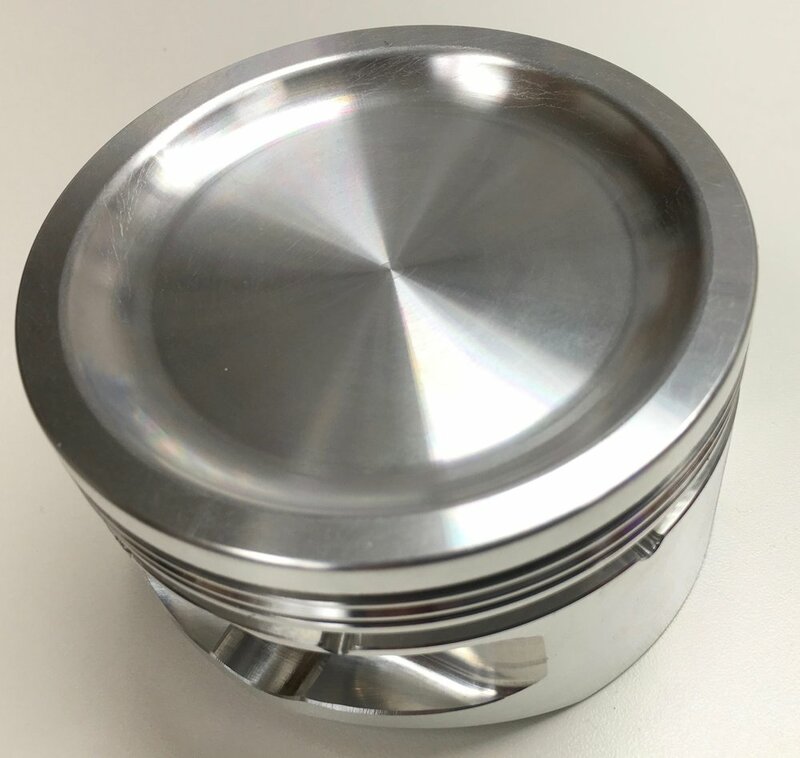 Since RaceTec forges blank slug pistons, we get to design everything from bore size, compression ratio, skirt length, pin location, valve reliefs and we can design the ring grooves for a specific ring pack we are planning on using with that piston. We offer forged pistons in 2 types of material, depending on the use of the engine. The 4032 forgings have a high silicone content which translates to less expansion at operating temp. The advantage to that is the block can be bored to a tighter clearance to reduce the "rattle" noise normally associated with forged pistons. We recommend these pistons for street / track use up to a 400hp 22R/22RE/22RTE engine. We have sets in stock for various applications, and can have sets custom made for your specific application. The 2618 forgings are made for high boost, high RPM and high horsepower engines that will be used in off-road applications. 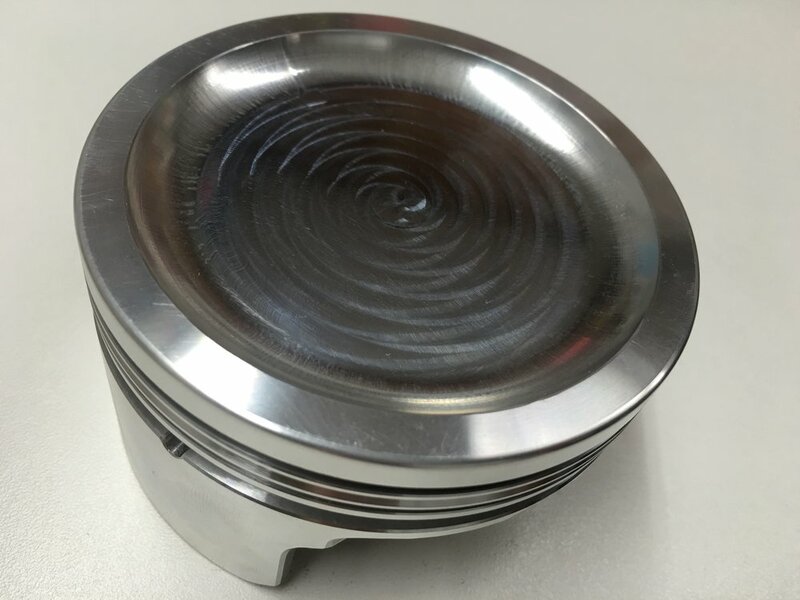 These are the lightest and strongest pistons you can get for your 22R/22RE/22RTE. These sets are custom made to your specs.